Festivals in Kerala are always celebrated with much pomp and show. 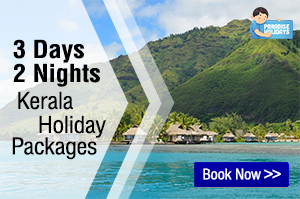 The festive seasons display the best of Kerala’s rich culture and heritage. You will not want to miss the vibrant colours, exotic fragrances, scintillating music, and century long traditions that set each festival apart from the other. 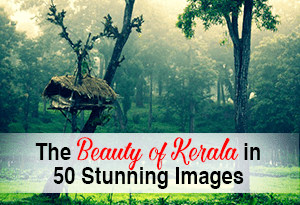 Here is a quick rundown on the popular festivals celebrated around the year in Kerala. Onam (also known as Thiruvonam) is the state festival of Kerala, observed by all its citizens, irrespective of caste, creed or community. It is a harvest festival celebrated once a year during the Malayalam month of Chingom (August-September). 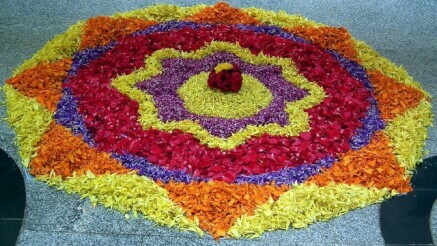 Onam is traditionally celebrated with much joy and fervour. Some of the celebrations include creating a Pookalam (an extravagant arrangement of colourful flowers), visiting temples, feasting on an elaborate meal served on plantain leaves, gifting others with new clothes, participating in boat races held on the backwaters, a variety of sporting events and even Pulikkali (a tiger dance). Vishu is an auspicious festival celebrated by Hindus on the first day of the Malayalum month of Medam (April-May). Vishu is hailed as the beginning of a new year by residents of Kerala. The most significant ritual observed during Vishu is the Kani Kanal (meaning ‘first sight’), as it is believed that the fortunes of the upcoming year depend on what object is seen first on the morning of Vishu. Another practice is Vishu Kaineettam, where money is gifted to the younger members of each family. The entire family joins in for a mid day feast (Sadya) and then ends the day’s celebration with a dazzling display of fireworks. 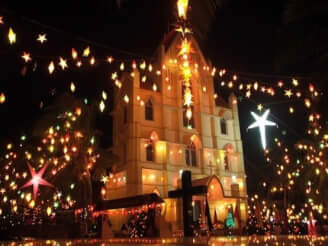 Christmas in Kerala is celebrated unlike anywhere else in the world. The ever growing Christian populace here, has adapted the Christmas celebrations, infusing it with the spirit and culture of Kerala itself. The birth of Jesus Christ is observed with traditional church services and elaborate nativity arrangements, sharing the love of Christ and the peace of the season with families and neighbours. Easter is celebrated worldwide to signify the resurrection of Jesus Christ. As the Christians in Kerala account for about 23% of the state’s population, Easter is observed with the same fervour as in the west and is marked by four distinct periods. The first is Lent where one undergoes a 40 day fast, giving up something they value for the entire period. Then comes the Holy Week consisting of the 4 days leading up to the Easter Sunday. Next is the Octave of Easter (the period of traditional Baptism) and it finally ends with the paschal season that extends for another 40 days more. 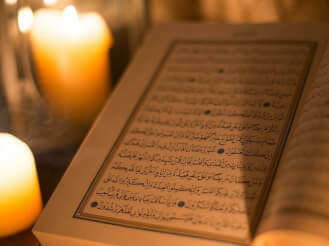 Ramadan is an important festival observed by Musims to commemorate the day when the Holy Quran was sent by Allah, to serve as a counsel for men in 615 AD. Ramadan is a month long festival observed earnest prayers, and fasting from to food to purify the body and soul, and become closer to God. This period of fasting ends when the crescent moon becomes visible on the western horizon. As Ramdan ends, Id-Ul-Fitr (the feast of fast-breaking) commences and is celebrated for 3 days. Bakrid is a festival of sacrifice observed by Muslims commemorate the sacrifice of Hazrat Ibrahim, who voluntarily killed his son at God’s command. The event is celebrated by sacrificing an animal (usually a goat), followed by prayers at the mosques, grand feasts and merry-making. Muslims wear new garments, visit each other’s homes and exchange good wishes. The greeting of Thakhir (Allahu Akbar) is heard all around as everyone asserts their belief that God is great. Muharram is observed by Muslims to mourn the martyrdom of Imam Hussain (Prophet Mohammed’s grandson) who died in the bloody massacre at Karbala in 680 AD. There is a period of fasting, and then glittery Taziyas (tombs made of bamboo and paper to replicate Hussain’s tomb) are created and carried out into the city streets. Huge processions follow these taziyas and people are seen beating their chests mourning the slaying of Hussain. At the end of the procession, devotees end their fast and give away clothes, food and money to the poor and the downtrodden. Miladi Sheriff is celebrated by the Muslims as the birthday of Mohammed who was the prophet of Allah. In Kerala, it is observed by reciting the Moulood, a short biography of the prophet written in Arabic. For the first twelve days, lectures are arranged where Muslim Ulemas deliver religious sermons and share about the life of Prophet Muhammad. The celebrations also include giving away food to poor people and other charitable activities arranged by individual Muslim communities. This festival is observed by Hindus who offer prayers to Lord Shiva, the God of destruction. According to Hindu the mythology, it was on Shivratri (meaning, the night of Shiva) that he performed the Tandava Nritya – the dance of primeval creation, preservation and demolition. Here in Kerala, Sivarathri is celebrated in the month of Kumbham (February-March) with all day fasts, reciting the Panchakshara mantra “Om Namah Shivaya” and singing hymns praising Lord Shiva. The crux of the Sivarathri celebration is at the Siva Temple at Aluva, on the banks of the Periyar river. There is a Siva Lingom (idol) that emerges out of the sand on the river bank that attracts thousands of pilgrims. Deepavali, also called Diwali means ‘a row of lights’ in Sanskrit and is celebrated by Hindus all over India as the festival of lights. In Kerala, Deepavali is observed on the day before the new moon in the Malayalam month of Thulam (October-November). Deepavali is a celebration of God Sree Krishna’s triumph over the demon Narakasura. The Tamil communities in Kerala begin their celebrations early in the morning with a ritual oil bath before sunrise. This is immediately followed by consuming a concoction of jaggery and dry ginger. The celebrations include wearing festive garments, distributing special sweets, bursting firecrackers and a watching the colorful fireworks lighting up the sky. Homes are lit up with clay oil lamps and the sparkling lights dazzle every neighborhood during Deepavali. Navaratri is a Hindu festival that literally means ‘nine nights’. During these nine nights, female dieties – Durga, Lakshmi and Saraswati are worshipped as the three different manifestations of cosmic energy. The celebration begins after the Mahalaya Amavasya and ends with Vijaya Dasami or Dassara. The triumph of good over evil is celebrated on the tenth day of Navratri, with the burning of an effigy of Ravana and the bursting of crackers. All the celebrations include feasting on mouthwatering sweets and crunchy savoury snacks. Now lets check out the popular temple festivals in Kerala. They are colorful and people from all parts of the country, even from abroad, come to see these events. 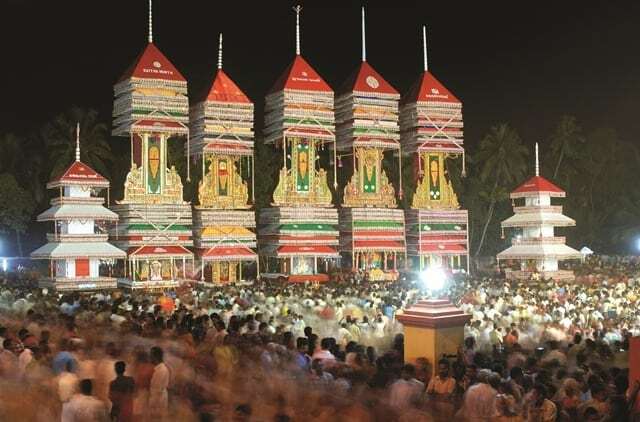 The Arattu of Lord Padmanabha is held during the Painkuni festival at Sree Padmanabhaswamy temple. The arattu refers to a holy bath, where the dieties are taken in a ceremonial procession to Shanghumugham beach. The King of Travancore, also accompanies the procession as the vassal of Sri Padmanabha Swamy. Ambalapuzha Arattu is a temple festival celebrated at the Sri Krishna Swamy Temple at Ambalapuzha. The temple enshrines Ambalappuzha Unnikannan – Lord Krishna as a baby. The celebrations last for 10 days and the Arattu is conducted on the final day – Thiruvonam Nakshatram. 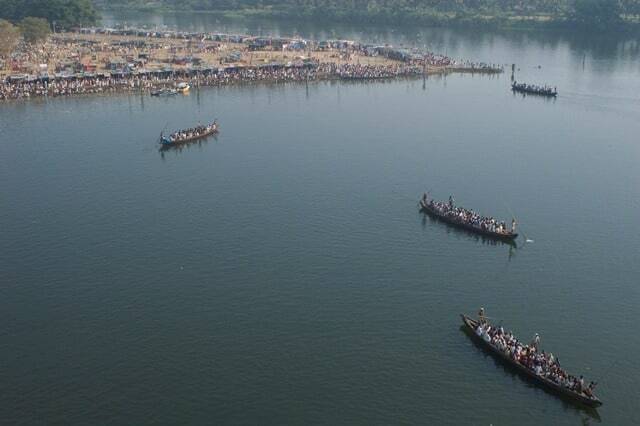 The Aranmula Uthrittathi is celebrated with a ritual boat race held during the Onam festival. Legend has it that a boat carrying offerings to the Aranmula Parthasarathy Temple was under attacked by enemies. People from the neighboring areas sent their snake boats to protect it. This has now evolved into a snake boat race, presented as an offering to Lord Parthasarathy. 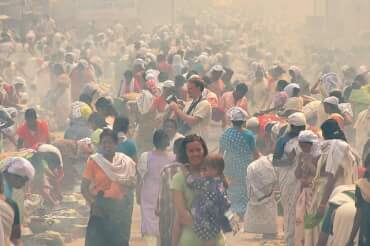 Attukal Pongala (also known as the Sabrimala of women) is considered the largest congregation of women in the world. Women all over the city cook their offerings and bring it to the Attukal temple. ‘Payasam’ – a sweet dish made with rice, jaggery and banana is an integral part of this offering. An annual 10 day long celebration is held at the Parthasarathy Temple in Adoor, and the Adoor Gajamela is the highlight of it. Nine elephants in their ceremonial attire are paraded, as hundreds of visitors throng the temple gates to witness the regal spectacle. The Chettikulangara Temple near Kayamkulam celebrates the Bharani Utsavam in the Malayalam month of Kumbham (February-March). The highlight of this temple festival is Kuthiyottam and Kettukazhcha. As part of the Kuthiyottam ceremony, young boys are required to fast, and are taken in a ceremonial procession to the temple to the tune of music, the beating of drums and ornamental umbrellas. For Kettukazhcha, local residents worship decorated effigies of chariots, horses and dieties and take part in a ceremonial procession. Konganpada is celebrated in the Bhagavathy temple at Chittur in the month of Kumbhom (February-March). It is meant to commemorate the victory of the Nairs of Chittur over the militia of Konganadu (Coimbatore) which the Goddess Bhagavathy is believed to have orchestrated. Chottanikkara Makam is an auspicious day observed at the Chottanikkara Bhagavathy Temple. The Murti of Goddess Bhagavathy is given a ritual bath, after which it is accompanied by Lord Shastha and eleven elephants to an open ground until noon. The deity is clothed in regal attire and adorned with jewels. It is also believed that prayers offered during this time will be answered. The Ettumanoor festival is celebrated in an ancient Siva temple about 12 Km North-East of Kottayam. 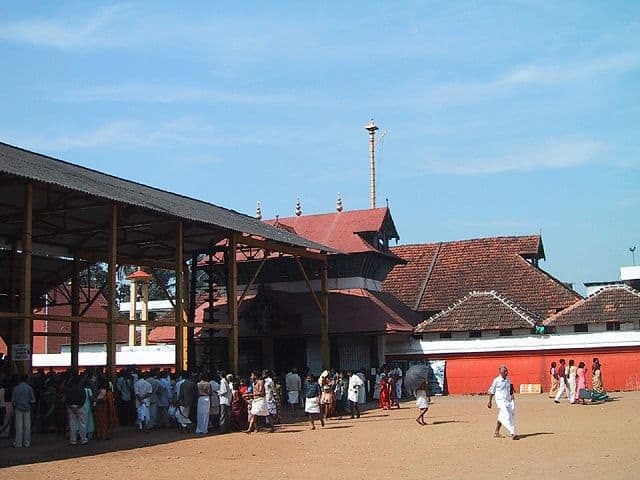 The arattu festival of this temple is celebrated annually in a grand fashion on the Thiruvathira day in Kumbham. 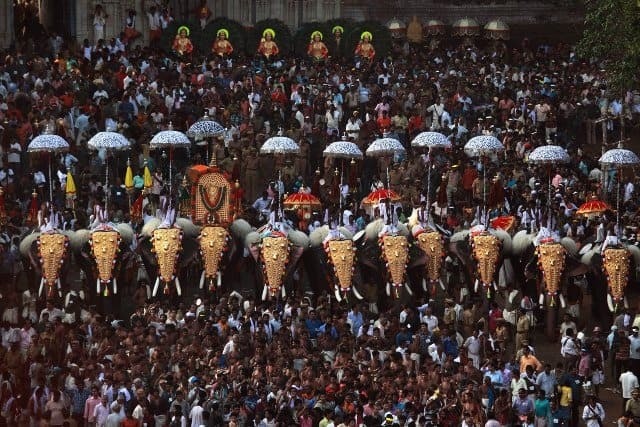 Multitudes flock to the temple on the 8th and 10th day of the festival when seven and a half elephants made of gold are displayed for public view. The Guruvayur festival begins on the day of Pushya in the month of Kumbham (February-March), and culminates with the Aarattu on the 10th day. The rituals are served to purify and energize the deity’s powers. The cultural festivities include a variety of processions, bright lights, decorative arches and non-explosive fireworks. Homes are freshly painted and buildings are decorated with lights, plantain trunks, coconut bunches and arecanuts. The Thaipooyam Festival is a one-day affair held at the Sree Subrahmanya Swamy Temple. Devotee carry kavadis (decorated wooden arches) on their shoulders and perform a ritualistic dance called Kavadiyattom as they proceed to the temple. Some devotees also pierce their cheeks with long arrows and perform a tantric dance as an offering to the gods. The Kanathurkavu Temple in the heart of Kannur celebrates its annual festival in April each year. Thousands throng the premises to witness the Theyyattom – a dance ritual of the Goddess Mahadevi. The Kappally temple conducts its annual Thira festival between the 3rd and 13th days of Kumbham (February-March) every year. The 12th day is considered the most important day of the festival. The Kodiyettu Utsavam is a festival dedicated to the Goddess Bhagavathy, celebrated in memory of the temple’s consecration. It commences on the Makayiram day in Vrischikam (November-December) and ends on the Uthram day. 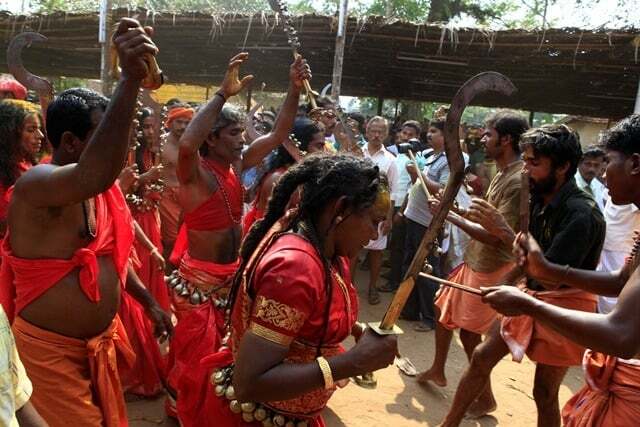 The Bharani festival is well known for it’s spectacular event called kaavu theendal. For this ritual, oracles from various parts of the state arrive at Kodungalloor Bhagavathy temple. The men and women run around the temple in a trance, smiting their crowns with swords and proclaiming their communion with the Mother Goddess. The devotees strike the temple rafters with sticks and throw their offerings over the roof in to the inner quadrangle of the temple. The historic Koodalmanickam temple situated in the Manavalassery village is an architectural masterpiece. 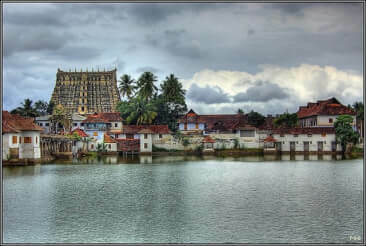 The deity, Sree Bharatha is worshiped here and the annual festival is conducted during the month of Medom (April-May). 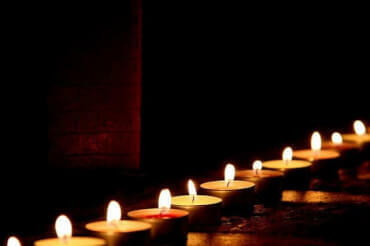 Thrikkarthika is celebrated in the month of Vrischikam (November–December). On the Karthika day, devotees visit the Udayanapuram and Thrissur Vadakkunnatha temples and present their offerings. Legend has it that the gods of these two temples where enamored with the beauty of Devi as she returned from her bath. They hopped over the compound walls to look at here, and were finally met at the walls by temple priests. So, during Karthika, puja is performed over the walls of these temples. There is also a magnificent display of lights in the evening, called Karthika Vilakku, which is the highlight of the celebrations. The Sree Viswanathaswamy Temple at Kalpathy holds an annual 7 day chariot festival, and the last three days are called the Kalpathy Ratholsavam. The 700 year old temple celebrates this festival with Vedic recitals and a massive procession of decorated temple chariots drawn through the streets by thousands of devotees. During the Kuttikkol Thampuratty Theyyam festival, the major theyyam forms of Kerala are performed amid thousands of visitors. The festival itself is a riot of colours and pageantry, making it very attractive to onlookers. 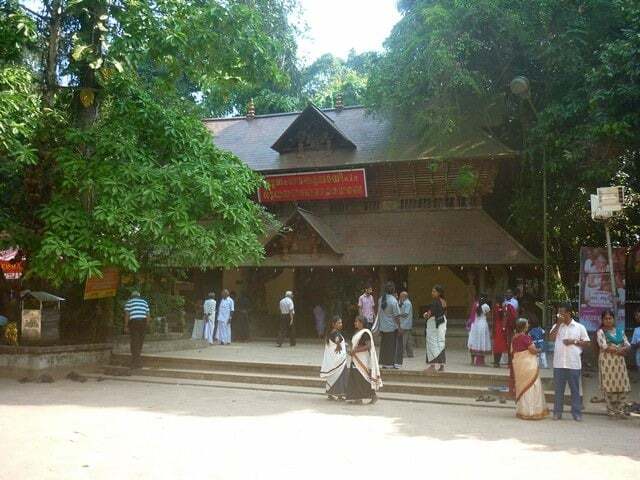 The Lokanarkavu Bhagavathy temple is situated at Memunda in North Kerala. It celebrates two festivals annually in the months of Vrischikam (November-December) and Meenam (March-April). The festival in Vrischikam is called Mandalavilakku and is the more important of the two. Mannarsala, situated near the Sri. 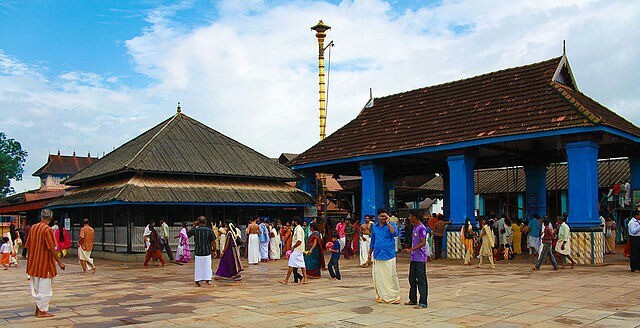 Subramanyaswamy temple in Haripad, is the seat of the famous temple of Nagaraja (God of Serpents). The temple itself is build in a grove and is known to have 30,000 images of snake gods. On the day of Ayilliam in the months of Kanni and Thulam (September and October), all the serpent deities in the grove and temple are taken in a procession and are offered Nurum Palum (rice flour and milk), Kuruthi (a red liquid made of turmeric and lime) and cooked rice. The temple of Nellikulangara Bhagavathi attracts many visitors who seek to invoke the blessings of the Goddess. Their annual festival is conducted in the 20th Meenam (March-April) every year. 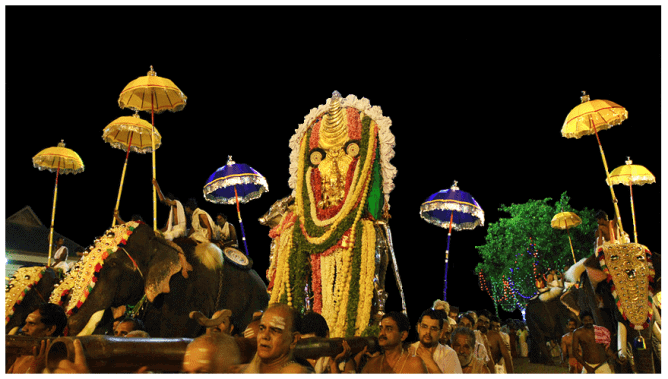 During the festival, an image of the deity is placed on a richly attired elephant and taken on a procession. To accompany the procession, there is a live band, fireworks and a lot of pageantry. The Sarkara Bhagavathy temple is situated in the Sarkara village, close to the Chirayinkeezhu railway station. This temple celebrates the Kaliyoottu festival in Kumbham and the Bharani festival in Meenam (February-March). Kaliyootu is actually a commemoration of the fight between Darika and Bhadrakali. The Shri Sundareshwara Temple was founded by Shri Narayana Guru in 1916 and it’s dedicated to Lord Shiva. This temple conducts an 8-day long festival in the months of March- April every year. 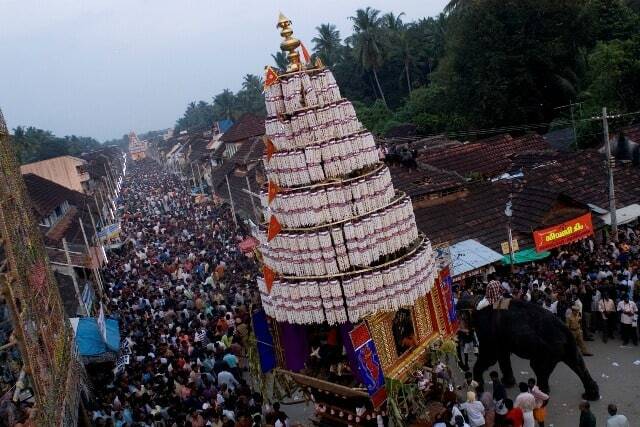 The Thrissur Pooram is celebrated in the Malayalam month of Medam (April-May). The 200 year old festival displays a spectacular procession of elephants and drummers for a whole 36 hours. Unlike other temple festivals, the Thrissur Pooram is celebrated by all residents, irrespective of religion, caste or community. The Mahadeva Temple at Kottayam is located on the Thiruvakkara Hill. It is a famous Siva temple, known for its historical significance, antique heritage and sanctity. The temple conducts a 10-day long Arattu Utsavam in the 1st Meenam (March-April) which attracts hundreds and thousands of devotees. The Thrichambaram temple is dedicated to Sree Krishna and is located in the Taliparamba village. The temple’s annual festival lasts for 14 days from 22nd Kumbaham (February-March). This temple’s annual 10-day long Arattu festival is celebrated in the month of Meenam (March-April). It commences with a Kodiyettu (Flag hoisting) on Karthika day and ends with the Arattu on Uthram day. The Vaikathashtami Festival is dedicated to the worship of Lord Shiva and is held during November or December at the Vaikom Mahadeva Temple. This annual celebration held at the temple is a 12 day long affair, held during the dark lunar fortnight in the Malayalam month of Vrischikam. The Ashtami falls on the last day, and at dusk, deities from neighbouring temples are brought in a ceremonial procession. All the deities are worshipped and offered presents, and then an Arattu is performed in a pond close to the temple. The festival also features various classical dances and cultural celebrations. Uthralikkavu Pooram is a festival held at the Shri Rudhiramahakalikav temple, situated at Wadackanchery in Thrissur district. The temple’s annual Poornam festival is held during February / March every year. As you can see, there is no dearth of festivities in Kerala. 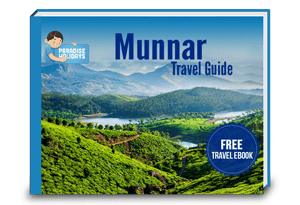 Do plan your next Kerala trip around the festival season, and join us in the celebration. 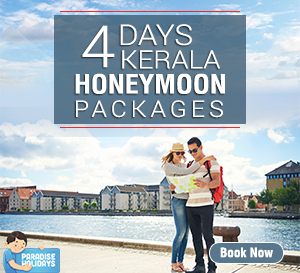 When you plan your Kerala tour package, do consult with your tour operator. He will be able to guide you and make arrangements to visit the right festival according to the season. I always read your updated content so that I could find some interesting things about most destination to visit. 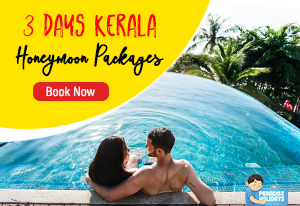 In last weak, I had find your awesome post about honeymoon destinations in Kerala. After read about Backwaters, I promise that I’ll be visiting one day. Moreover, please share about Onam festival in Kerala if possible… Thanks for post!!! oh Seema, happy to hear that you found our blog interesting and informative! I will definitely try to work something on Onam soon!! Hi Ms.Philip, I am planning to visit kasargod to attend Theyyam festival between 5th and 15th december. I would like to know if there are any photography enthusiasts visiting the place during these dates so I can travel with them for sharing better photographic perspectives. Thank you for reaching out and we hearty welcome you to experience the mind-blowing beauty of Kerala and theyyam. 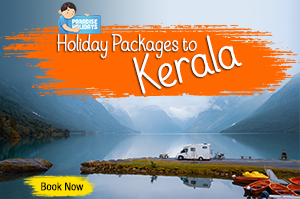 Please feel free to contact us at info@paradise-kerala.com to get the details. Your blog is more interesting. Loved your site. Thanks for sharing all the festivals celebrated in Kerala. When does Kalapathy Ratholsavam festival hold? Planning to visit Kerala for that festival. Must see festival is chinakkathur pooram not നെnellikulangara and uthralikkavu. Uthralikkavu and നെnellikulangara is only fire works festival. Now not permission for fire works there. Chinakkathur pooram is known തthanikkotha pooram also. There are various items like elephant, horse, bullock, chariot, poothanthira, aandinayaadi, പുpulikkali, fire works, ആaraattu, flag hoisting, gods tablews, thattinmelkoothu. Millions of devotees and tourists going there. Thanks for that correction. 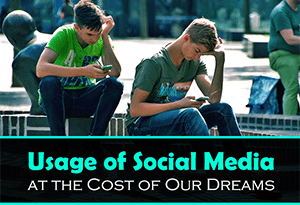 Very soon we will edit the article.